The 2016 BMW 3 Series 340i, is as classy as the city where I headed to test it out.The BMW 340i is a sporty rendition of a luxury sedan offering comfort, style and power behind the wheel. This year all the BMW 3 Series offerings have been tweaked a bit inside and out with not only suspension improvements, but also a name change from 335i to 340i and under the hood there is more power in the 340i than in the previous incarnation. You can opt for a sedan or wagon body style in the 2016 BMW 3 Series and there are four trim levels; the 320i, 328i, 328d and 340i. Go for the 340i and you won’t be disappointed because it is certainly a road trip vehicle for both the front and back seat passengers and the seats move and recline in a variety of configurations. Take note of the gauges too, which are easy to read and a throwback to pre-BMW design. The 6.5-inch infotainment will give you everything you need to know and there is also the iDrive controller with a menu that works intuitively. It’s a wonderful driving experience the 340i, the ride is smooth and since this one is a sportier version you can definitely feel that ramped up aspect when driving it. Even better, it’s 22 miles per gallon in the city and 33 miles per gallon on the highway. Not bad for a road trip so I headed to the very chic La Cantera Hill Country Resort, part of the larger Destination Hotels collection. Sitting on 550 acres of prime San Antonio land close enough to anything you might want to do (like the River Walk or the Alamo), but far enough away for you to enjoy a peaceful vacation. There are five pools on the property so there is never a crowd, two championship golf courses, a soon-to-be very high-end spa to open and 498 rooms. Since I write about food and spa, and the spa wasn’t ready yet (there were plans to open this month), let’s focus on the tasty aspect of La Cantera because part of being on a good road trip is eating a good meal. 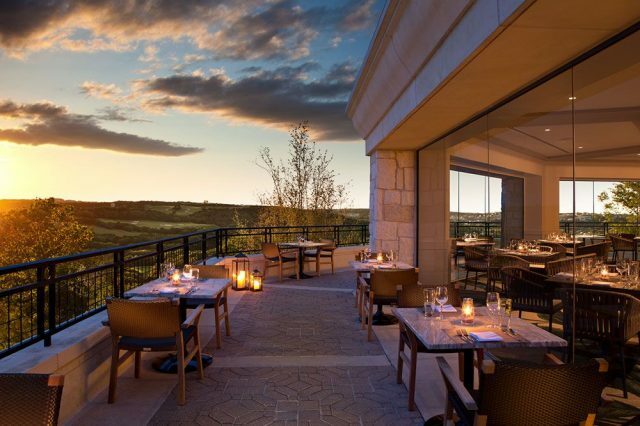 The folks at La Cantera Hill Country Resort are certain they have created not only a relaxed style when it comes to dining, but added to that luxury and sophistication too. Actually, the new restaurants he is speaking of are part of the resorts multi million-dollar transformation that included a refresh all around – and that includes the aforementioned spa that I can hardly wait to visit. From casual to gourmet there are nine locales to enjoy a meal at La Cantera. I enjoyed SweetFire Kitchen with its American menu and an open-air exhibition style kitchen. Other options are the Primero Cantina with an indoor/outdoor bar, Sire Bar (try a hand-crafted cocktail), Topaz and Vista Grille (that one offering up healthy cuisine). So if you are looking for a resort that offers everything with comfortable rooms and a friendly staff, this is a prime go to destination. 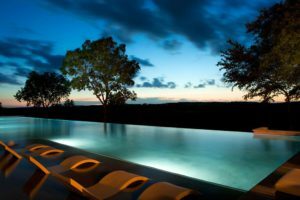 In fact, you really don’t even have to leave the premises during your vacation whether you want to eat healthy farm-to-table, want to relax and dive into a week of golf, spa and happiness, whatever the case may be head to La Cantera Hill Country Resort for a real Hill Country experience that won’t disappoint. Of course I’m quite certain that you will want to head to the River Walk in San Antonio to get a feel of the vibe there, so when you do, take a meal at Las Canarias at the Omni La Mansion del Rio. Picture a Spanish colonial type of architecture with a bit of a European vibe and take in the great views outside the restaurant as you dine on the patio overlooking the River Walk. The menu features American cuisine and the chef uses local ingredients for fresh tastes from local farmers and artisans in the area. If you want a signature dish from the kitchen try the Lockhart Quail or the Veal Tenderloin and you are definitely not going to want to leave without trying one of the hand-made margaritas. Texas is all about the perfect margarita and Las Canarias has the perfect blend so make sure you make this your first stop while taking in the river. Nearby the Omni La Mansion del Rio is the Mokara Hotel & Spa – also part of the Omni family. These guys at Mokara have their own reason to boast with specialty tequilas, more than 70 labels in all, but it was the spa I was seeking when I visited this destination. Mokara’s spa lays claim to 17,000 square-feet, all of it a truly fine oasis of relaxation. There are a variety of spa treatments to choose from on the spa menu and a very comfortable environment in the restful lounge before and after your treatments. It’s the only world-class spa in the heart of downtown San Antonio and there is plenty to go around with 17 treatment rooms. Of course, you don’t want to miss the outdoor poolside café and rooftop views at Mokara either. For more auto and travel tips follow Rita on Twitter @RitaCook13.